The Koi Transporter helps you move Koi without stressing them. 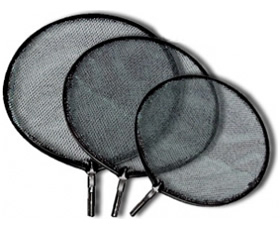 The 11" diameter net with a 54" sock has a 12" handle with rubber hand grip. Unlike a standard net, this transporter holds water and does not remove the slime coat on your fish. Net end allows for easy draining. 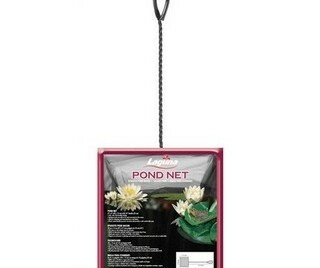 Can be used as a divider in your pond or to isolate new fish for observation. Creates a safe and secure area within your pond. Easy setup in minutes. 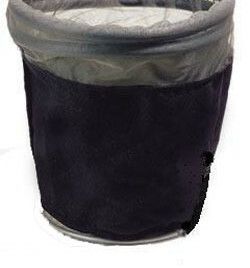 Floating lid, black polyester net promotes good water circulation. Each is 24" deep. The black mesh is 1/4". Available in four sizes. Protect your fish fry. This well designed spawning incubator provides a protected area for pond fish to lay their eggs. It is 18" diameter and 18" deep and floats or can be anchored at any depth. Soft polyester net with polyethylene floating ring. When eggs are depositted you simply turn the incubator inside out to protect them from other fish and predators. Rinse throughly after spring use and you should get years of use from it. 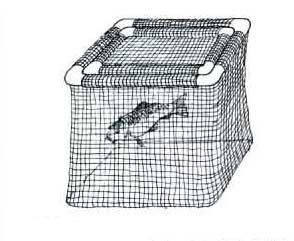 A Koi Sock Net is a safe way to catch and handle your large Koi. Comes in three sizes. All have 12" handle with rubber hand grip. All metal edges are covered to protect fish. 8" x 36" 11" x 42" 15" x 48"